Pennyroyal is a pungent mint that spreads rapidly along the ground. It has a lower growth habit than other mints which makes it an interesting ground cover. When it starts to grow tall a quick mow is a good way to keep it in check and lower to the ground. This happens maybe twice a year depending on your preferences. Not quite as invasive as other mints, Pennyroyal still should not be planted where it can interfere with other plantings. 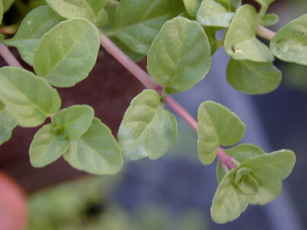 Pennyroyal is not a culinary herb and should not be used for tea or cooking. This plant is often available in plug trays. These trays hold 128 of all the same plant. They are a great low cost way to fill a lot of space. Each cell is 3/4 of inch by an inch. Check here to see if Pennyroyal Plug Trays are available.